UVT-S-AR PCR UV Cabinet - Raya Scientific Co. The Grant bio UVT-S-AR is a large capacity stainless steel PCR UV cabinet workstation with additional space for equipment and accessories to allow for more comfortable and convenient working in PCR applications. These UVT-S-AR cabinets are equipped with an open UV lamp installed in the upper part of the hood. UV-radiation from these lamps effectively disinfects the working area chamber, inactivating DNA / RNA fragments during 15-30 minutes of exposure. The digital timer controls the duration of the direct UV irradiation. An additional daylight lamp provides a bright, clear working area. They are equipped with a high efficiency flow-type bactericidal UV cleaner-recirculator which provide constant decontamination inside the cabinet during operation. The UV cleaner-recirculator consists of UV lamp, dust filters and a fan. The recirculation effect increases the maximum density of the UV light making it sufficiently effective for DNA / RNA inactivation. The recirculator processes 360 UV-cabinet volumes per hour, creating permanently aseptic conditions within the cabinet. Ample additional space for equipment and comfortable working. 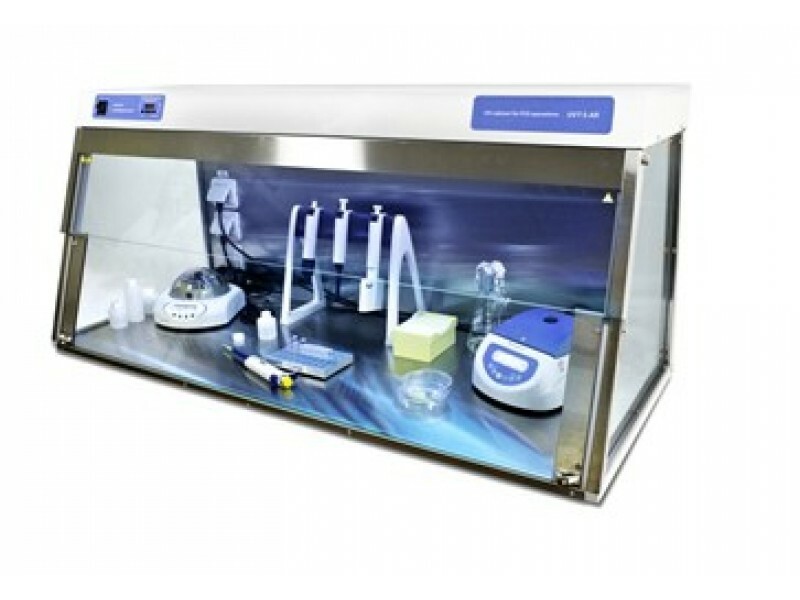 These PCR UV-cabinets are designed for clean operations with DNA samples and provide protection against contamination. They are recommended for operations with dangerous infectious and viral materials as well as DNA / RNA amplification.